Our venue Sheraton Tysons Hotel is conveniently located in beautiful Northern Virginia only 20-25 minutes from downtown Washington DC by metro. Tysons Corner is only about 20 minutes from Dulles International Airport. 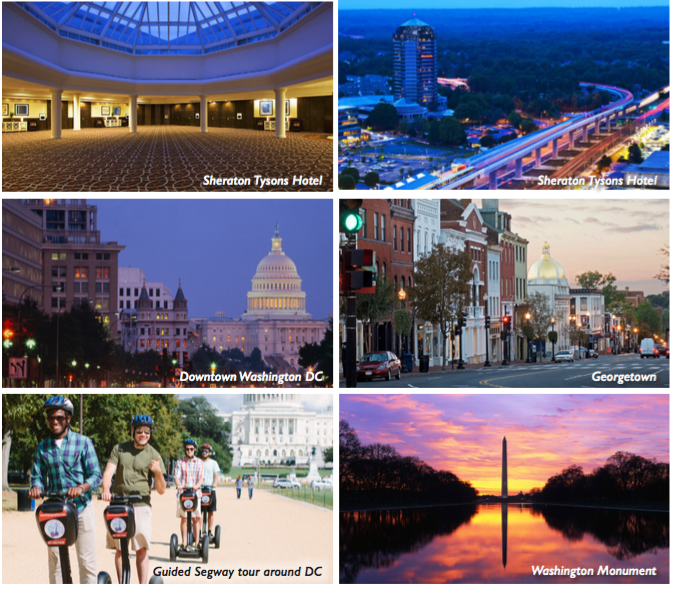 And here is no shortage of iconic sites to visit & enjoy in the nation’s capital. Sheraton Tysons Hotel, 8661 Leesburg Pike, Tysons, VA 22182, USA. See our Hotels and Travel page for info on how to get to venue or find our venue on Google Maps.